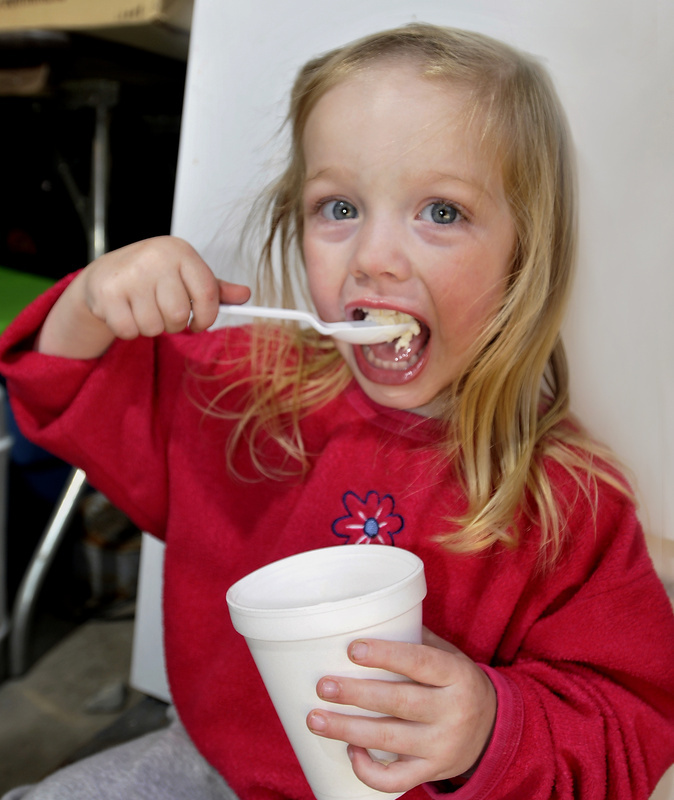 Sample the syrup and pancakes and hobnob with the farm animals on Maine Maple Sunday (which starts Saturday in many locations). How often do you get the chance to pet a miniature horse and eat maple cotton candy at the same time? 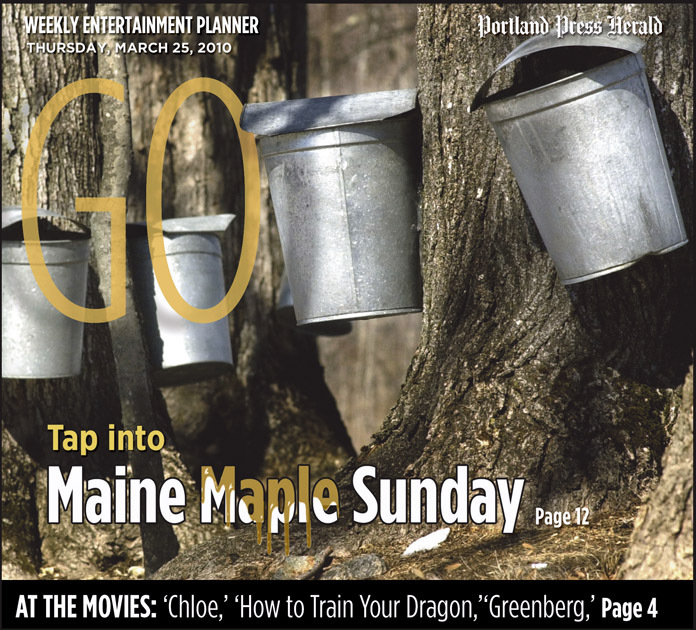 Only in some weird dream – or on Maine Maple Sunday. 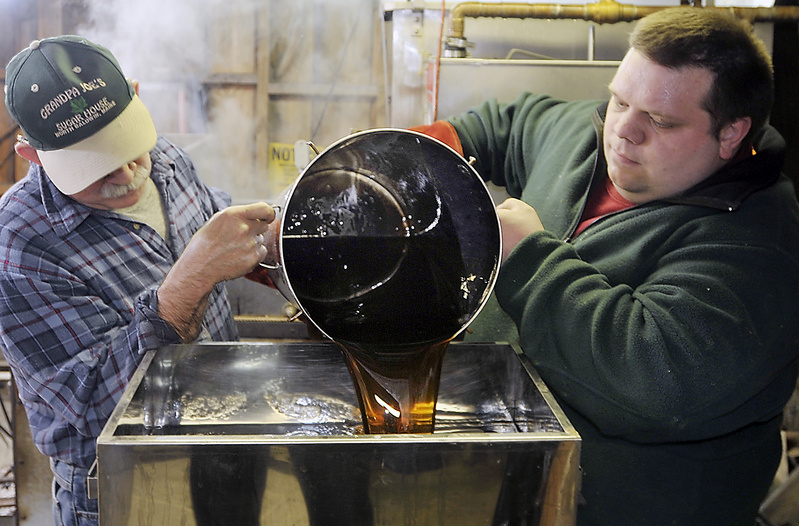 This weekend, farms all over Maine will be opening their doors to the public for the traditional annual syrup sampling, sap boiling and pancake breakfast. 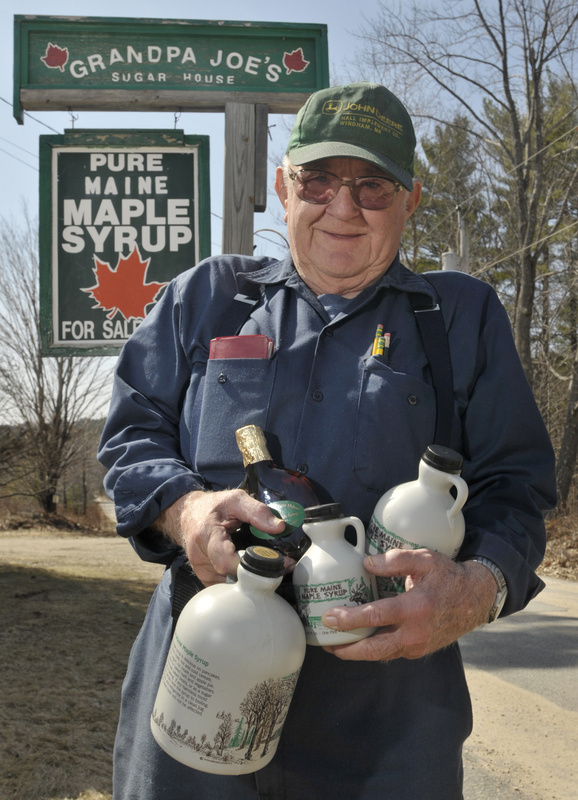 At Coopers Royal Heritage Farm in Windham, there will be a pancake breakfast from 9 a.m. to 2 p.m. And you’ll be able to buy maple candy, maple cotton candy, maple lollipops, maple-coated nuts and, yes, maple syrup. But you’ll also be able to check out Toffee’s foal, so new to this world that he doesn’t yet have a name. Toffee is a miniature horse, one of about two dozen on the farm, and her foal was actually due on Maine Maple Sunday but arrived a little early. 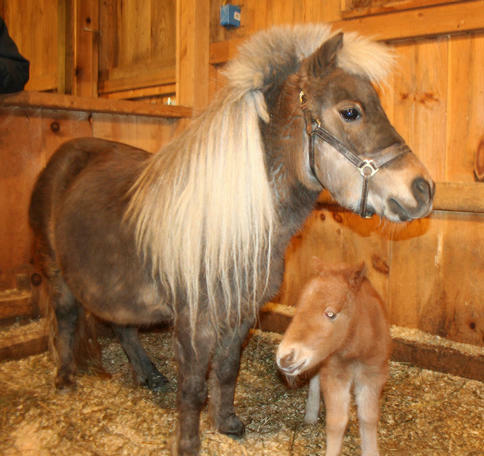 The Coopers have been raising miniature horses since 2003, and watch about a half-dozen new foals arrive every year. Most of the horses are under 34 inches tall and don’t mind being petted, said Mark Cooper. “They’re very friendly,” he said. “They’re not intimidating at all. They’re a totally different personality from a big horse. Horses not your thing? The farm also raises beef cattle, and there are a half-dozen peacocks and exotic pheasants and one ostrich. There will also be animals at Brookridge Boilers, where there have already been four spring lambs born and another on the way. The All-Star 4-H Dairy Club will be putting on a pancake breakfast at 9 a.m. and showing off some of their dairy calves. But most people come here for Suzanne Guillemette’s tire (pronounced “tier”) and sucre a la crème – maple fudge – made from her grandmother’s recipe. Tire, also known as sugar on snow, is a maple taffy that is a French Canadian favorite. Guillemette said her grandmother used to keep it in a big Mason jar and put it on doughnuts and homemade cookies, or mix it with heavy cream. Guillemette also sells her version in a jar. More farms are extending Maine Maple Sunday to the entire weekend, either because customers are requesting it or because it helps spread out the crowds over two days. You can find a farm that’s open on Saturday by checking out the list at www.getrealmaine.com. Ben McKenney of Grandpa Joe’s in North Baldwin said his farm actually gets more visitors by holding the event over two days, and sometimes people come for both days. This year, the farm will have music both days from the Maine Maple Sunday Old Time String Band. McKenney is also continuing a tradition his late grandmother started by hosting a cook-off at noon Sunday to benefit the North Baldwin Fire Auxiliary. Visitors interested in entering should bring a dish made with Maine maple syrup. Judges will award prizes to the best entries. 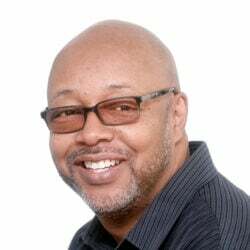 A lunch of hamburgers, hot dogs and other casual fare on both days will benefit a scholarship fund. If you’re mostly interested in soaking up maple syrup tradition, check out the antique sugar devils, sugar nips and sugar molds that the Merrifield family has been collecting for years at Merrifield Farm in Gorham. The Merrifields also do an oxen demonstration, with the enormous animals pulling children around in a scoot or wagon.